The Chiyoda Group is committed to being an ‘Innovative’ Engineering Company, shaping the future of energy and the global environment with passion and cutting-edge technology. 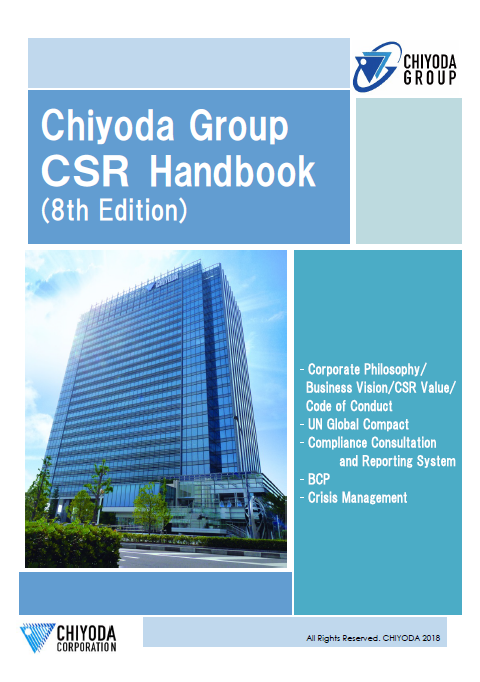 The Chiyoda Group CSR Handbook contains the basic policies such as “Corporate Philosophy”, “Business Vision”, “CSR Values” and “Code of Conduct” which serve as the guide for Chiyoda Group members to judge how to behave in their daily duties. 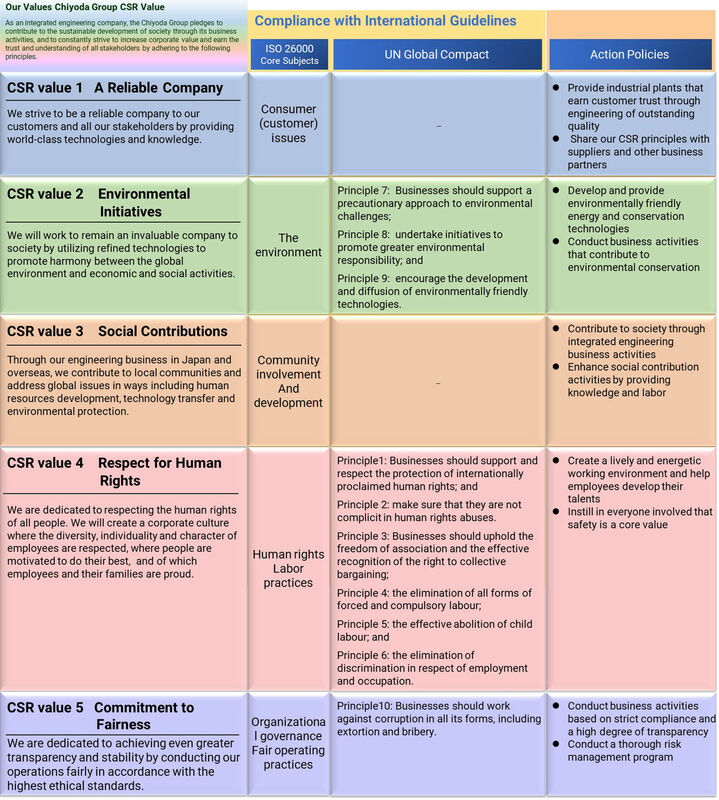 The Handbook is distributed to all the employees and used for the training program etc.